Billy Mavreas's And Another Thing is the second instalment in the Helen Pitt Gallerys investigation into procedure, process, and the performative gesture. During their Workaday arts series, the gallery is interested in looking at not only art itself, but the way in which it is created. 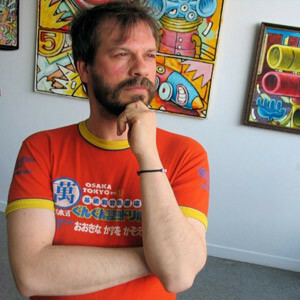 The Helen Pitt Gallery is a non-profit artist-run centre, and Mavreas will be in the gallery from May 27 until June 14 creating and constantly modifying his art. He will also be collaborating with visitors to the gallery to create collages, drawings, and random photocopies that he will incorporate into his 3D wall collage as it grows. In collaboration with Harry Thurston, Thaddeus Holownia has created a series of photographs that pay homage to the Atlantic salmon in the book Silver Ghost. Over several years, Holownia has traveled to the salmon rivers of Eastern Canada during all seasons to capture their beauty and magnificence. The photos that he has collected and compiled into this book are a celebration of the habitat of the Atlantic salmon, the rivers they swim in, and the geography surrounding them. The book also explores the cultural connection between these rivers, the salmon, and their natural history.